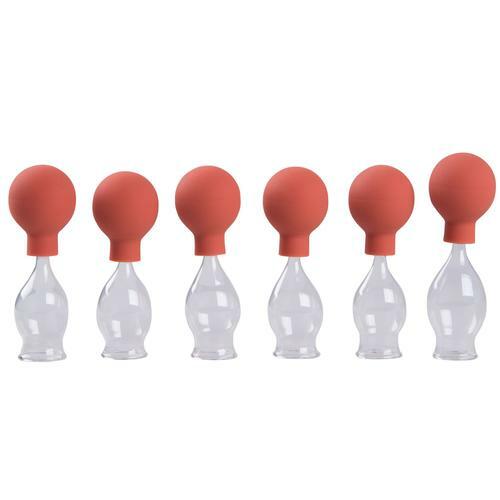 Glass cupping set w. suction bulb, 20 mm,set of 6 pcs. Set consisting of 6 medical cupping glasses with 6 rubber balls for fire-free cupping. 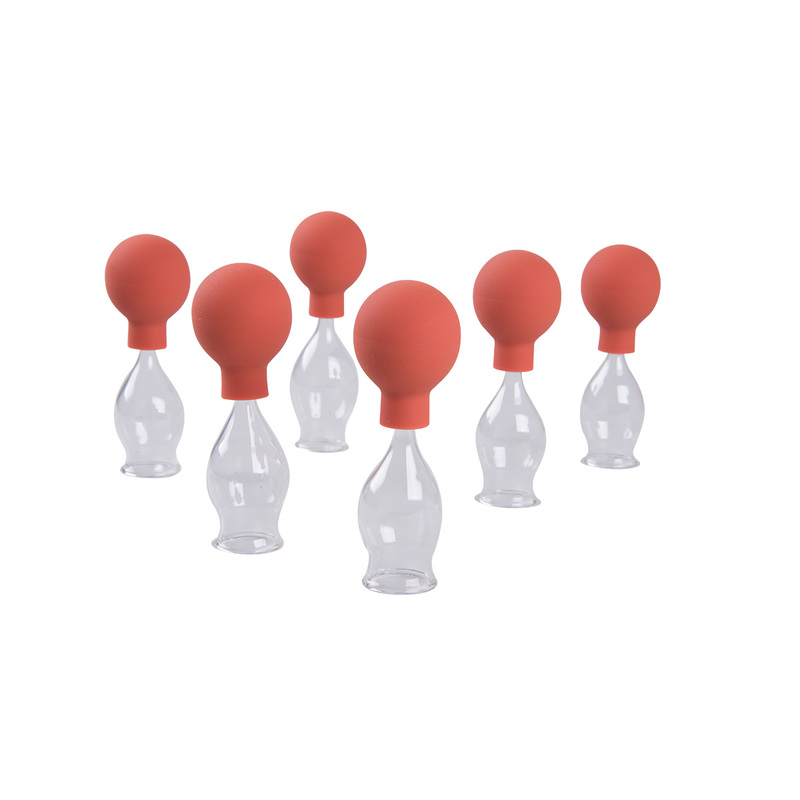 The cupping glasses are made of glass so you can clean and disinfect them easily (dishwasher safe). 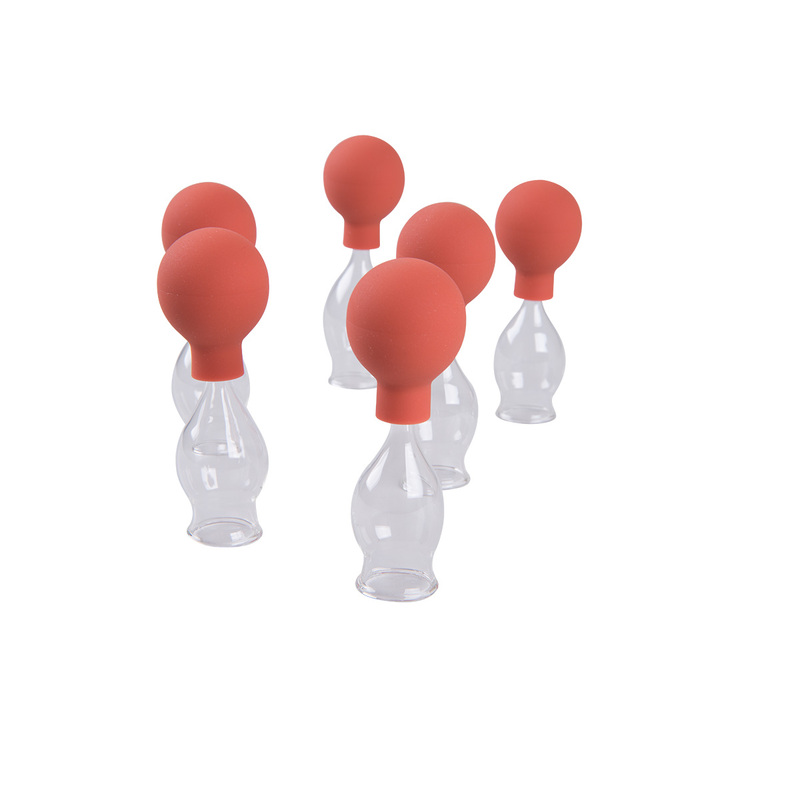 They are hand-made in Germany to a very high standard.